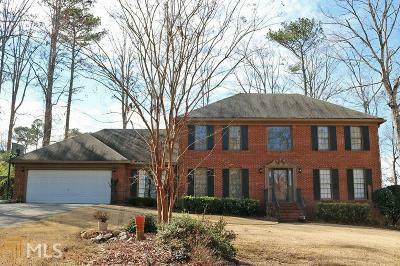 Meticously maintained and beautifully updated Traditional home within walking distance of Camp Creek Elementary and Parkview. 3 sides Brick. New paint, flooring, updated baths with granite, updated kitchen with Granite. Hardwoods on main level. Huge master suite on main with second master upstairs. 2 more large bedrooms and 3rd full bath up. Large level fenced yard, 2 car garage, architectural shingle roof, updated siding with warranty. EverDry warranty for crawlspace, termite bond. Pride of ownership really shows through in this move-in ready home. Directions: 85n To Rt On Indian Trail To Rt On Arcado To Left On Cole Dr To Left On Buckskin Dr To Rt On Sequoia. Home On Rt.